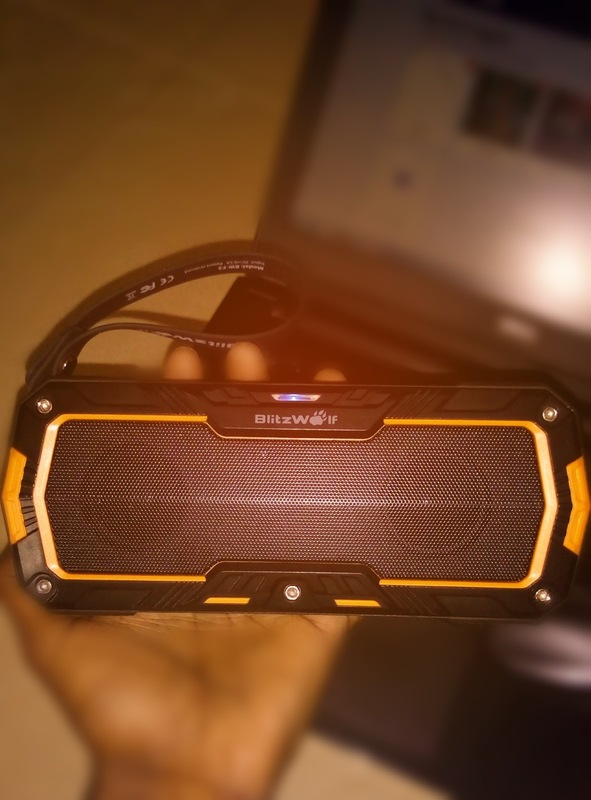 BlitzWolf BW-F3 Bluetooth Wireless Speaker is the best reason to start a party anywhere and anytime. This BlitzWolf BW-F3 is a portable system which consists of two speakers. The speaker with 5W power each has the ability of play Hi-Fi music loudly, robust bass and sound clarity is crystal clear under most of the outdoor conditions. As it is a portable Bluetooth Wireless Speaker, the inbuilt rechargeable battery is Lithium battery with 2000mAh rating. The battery is capable enough to power the speaker for around 8 hours with 70% volume. The approx. charging time of this speaker is around 4 to 5 hours. 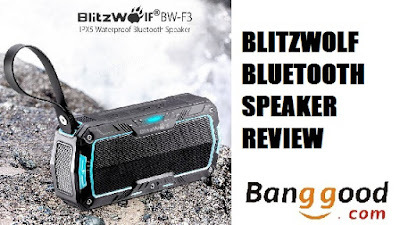 BlitzWolf BW-F3 being a portable wireless speaker is designed with to withstand various weather condition and long lasting. The device is IP65 which means it can withstand the dust from entering. Also, the device can resist the minimum water pressure. The design also has shockproof and water resistant Mic and TPU shell which is water resistant. The weight of BlitzWolf BW-F3 is bit heavy when compared with other portable speakers available in the market. 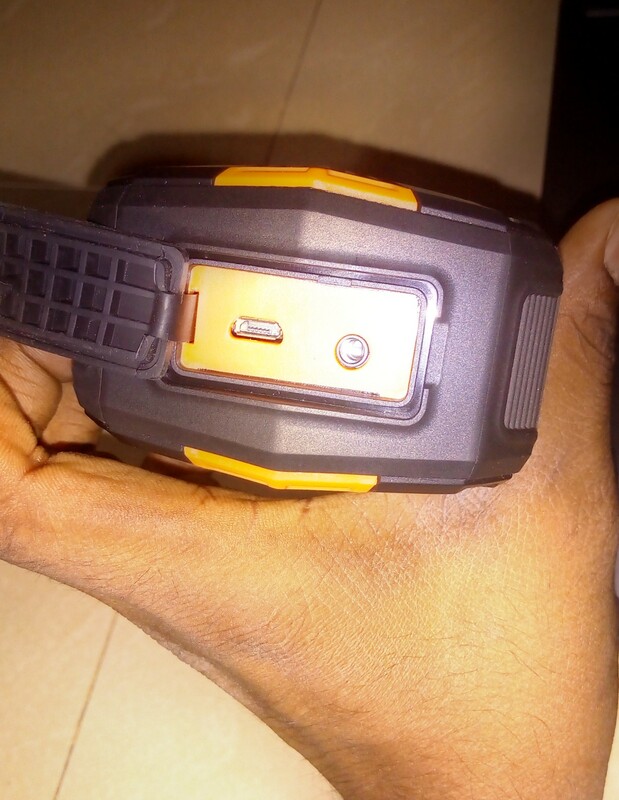 This can be a problem to some of the users but is ideal for the one who is looking out for a rugged portable wireless speaker. The speaker is constructed with the sturdy plastic and edges are protected with rubber. This serves as a cushion to the speaker. The body is so tightly fixed that it does not allow a single drop of water to slip inside. The USB and AUX cords require for this speaker are a standard cable which is available easily by any OEM. It has micro USB charing port and audio jack of 3.5mm for interface. The buttons on the devices like Power, Play/Stop, Volume +/- and Reverse/Forward are easy in operation and have the least chance of getting faulty due to moisture. Where most of the new wireless speakers fail for the first time while pairing up with other devices, BlitzWold BW-F3 got paired in the first attempt with the distance from the device of around 30 feet. Also, the operation of this Bluetooth Wireless speaker was smooth when the phone with which it was paired was in the pocket and kept at the distance of around 20 feet. The hands-free feature is also helpful where you can easily turn off the Bluetooth to answer a personal call. The speaker is powered with Bluetooth BT4.0 version. The transmission range of the speaker is about 10 meters. Coming towards the main purpose, Music. After completely charging this portable Bluetooth Wireless Speaker and synchronizing the phone. The speaker turned out to be loud. The bass of the speaker got distorted on playing the song with high bass. But on reducing the volume by around 70 to 80% if was normal. The speaker's performance at 80% is quite impressive. The bass note is great with crystal clear music sound. This portable Bluetooth Wireless speaker comes with a note mentioning not to make it wet. Thus, when playing outside in gardens, workshops, bathroom, etc. ensure that it is kept on a dry surface. Avoid playing the speaker where the level of moisture or water is high, mud or similar condition which can damage the speaker in short time. In order to boost your love towards music or willing to go for a long ride alone on a bike, there is a provision to mount the same on a tripod. The screw mount hole on the underside of the speaker which helps for easy installation on a tripod, over the bike, and much more. 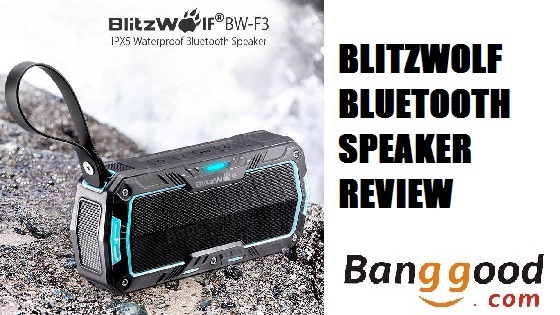 If you are hunting for a best portable Bluetooth Wireless Speaker which can be played in any outdoor condition, than BlitzWolf BW-F3 which is IP65 rated is the best option you should opt for. The design of this speaker is done with good quality, best sound output at an affordable price when compared with other premium brands. The product is available in two different colours, yellow and blue. The approx. the weight of the product is 425 grams and the dimensions are measured as 173 * 73 * 49 mm / 6.8 * 2.8 * 2 inches. You can buy BlitzWolf BW-F3 from the official Banggood E-Commerce store. It is priced approximately Rs. 1960 for all Indian Customers along with free shipping and delivery. 5) Ingress Protection (IP65) - BlitzWolf BW-F3 is IP65 complied which makes it easy to carry outdoors. It has the ability to withstand getting damage by getting wet or any dusty environment.